On-page SEO is all about the steps that you can take within your website in order to improve it’s ranking within Google. 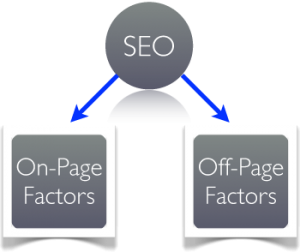 In contrast off-page SEO is generally focused on the creation of links from external web sites, social media and social bookmarking services that point back to your web site, or specific pages within your site. Link building is an important component of SEO, but if the internal structure and design of your web site has not been optimized then you are making it more difficult for Google to review and index your content. 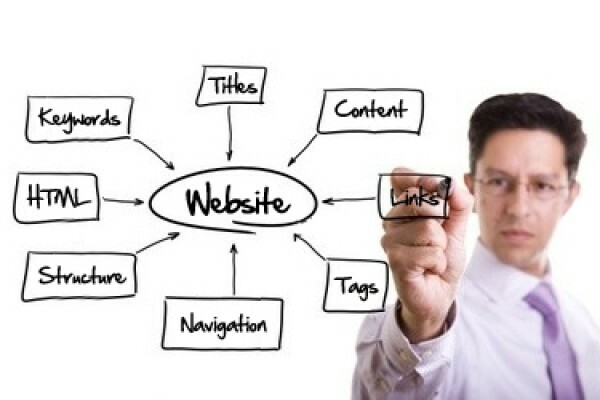 The following article will discuss various important on-page SEO techniques that can be applied to your web site to help improve its visibility within Google. A uniform resource locator, or URL, is the address of a web page that you see at the top of every web browser. It’s important that every URL within your web site is clean, readable and contains clearly defined structure and appropriate keywords for the product or service that you are looking to sell. If you can’t read a URL and make sense of it, then neither can Google. Google can’t decode dynamically generated URL’s. Instead it reads the words contained in the URL, just like the content found on your page. This helps Google to better understand your content, allowing your target market to find you more easily. When separating words in a URL you should use dashes or hyphens, instead of underscores. This recommendation has been made very clear by Google so it’s important to follow this if you want your pages to rank well. Google considers web pages in you root folder as being to level content, and perhaps better than other subsections in your site. Be careful in how you structure your URL’s. It’s recommended that you include no more than 3 subdirectories for any page that visitor is attempting to locate. When possible include your exact target keyword or phrase in your URL. This is usually difficult to do on your home page, but it should be easy to achieve on your products or services pages. How to target the exact keyword “black leather shoes”. If you’re looking to rank for location-based keywords, be sure to include those in your URLs as well. Title tags are particularly important as they serve a dual purpose; they provide Google the context of the page and it’s corresponding content and the click-able text that appears in the search results. If your title tag isn’t clear and enticing then chances are it won’t get clicked. When creating a title tag, try to make your keywords appear naturally. It’s considered best practice to use your company as part of the title tag, however you should include it at the end rather than at the beginning. Ideally the overall length should be less than 65 characters, and if you are targeting local customers, be sure to place the appropriate city, town or regional name here as well. Heading tags are another important key factor in how Google deciphers what your page content is about. If you already have a good handle on how best to use headings in your written content, then the same principles will still apply in terms of what Google likes to see. All of your pages should have only one H1 tag as this indicates the main topic of your page. 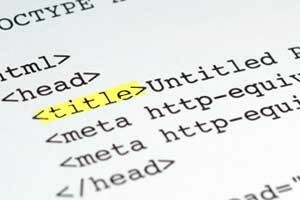 Another best practice to consider is having your title tag to match your web page H1 tag. Many popular CMS systems including WordPress and Joomla will do this by default. Breaking up your content with an appropriate number of headers will help to ensure your visitors can quickly scan the content of your page, and will also allow Google to understand the structure of the content as well. Remember to sprinkle your keywords within your sub header tags (H2, H3 etc.) as well as your H1 tag, when it’s logical and natural to do so. The key is keeping it natural and on topic. Each of the underlying images within your web site have an associated description or alt tag attached to them. Primarily these tags are used to label images for the visually impaired, however they do reinforce the relevance of keywords within the text content of the page and can also potentially boost rankings within Google Image search. The images on the page should contain your keyword. 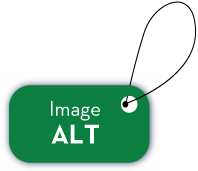 Make sure your alt image tags are highly descriptive and that they give your visitors a clear understanding of the subject of the image. Keywords relevant to the topic of the page should be incorporated in a natural way. A sign of good copy writing technique is to avoid using the exact same keyword or phrases repeatedly within your content. To avoid a repetition in your writing try to create some variety such as changing the grouping or the order of the words within the key phrase and using it in singular and plural formats. Think of all the variety of ways you would use the keyword if you were speaking naturally about it. You would probably use it in different ways, and refer to the words “it” or “them” on occasion as well. The same process applies when creating your web site copy, to ensure that it sounds as natural as possible. Another popular technique is to work with Latent Semantic Indexing, which is a method of generating additional synonyms around your main keywords to help assist Google in confirming the context of your content. You can learn more about LSI from the following article: What Are Long Tail Keywords? Following these guidelines will go a long way to attracting both your human visitors as well as the search engines. A new approach to the length of blog posts or articles has developed over the last few years known as ‘long form’ content. In the past short posts 300-500 words with a suitable number of embedded keywords were believed to be the most effective way to engage with a visitor. However it appears that this technique does not encourage a high level of return engagement with the site visitors, with many people turning to other sites to find longer or more interesting pieces on the topic they wish to read about. Google are aware of this issue, and the search engine itself now gives more weight to posts or pages that contain larger amounts of text with more detailed content. If your site is currently not ranking well, and is made up primarily of short, generic articles, it may be time for a revamp of your current content. 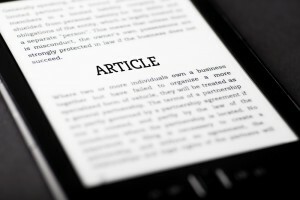 Ensure your content is well-written, and keep in mind that blog posts should generally be a minimum of 800-1000 words. Topical targeting is an approach to writing content where rather than focusing on one or two specific keywords, you structure the content around a particular topic or theme. 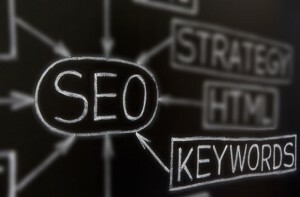 Essentially this approach optimizes pages for multiple, related keywords. Typically this approach has often been ignored by many SEO practitioners, however this approach leads more interesting and naturally written content that will look more legitimate to both visitors and Google. Creating content around topics is not only great for SEO, but is also extremely beneficial for improving your visitors’ experience, attracting inbound links and can help increase the number of shares within social media services.